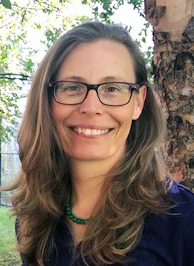 Cathy Thomason, MAOM, DiplAc, DiplCH, graduated in 2003 from the master’s degree program of the New England School of Acupuncture. She is certified in both acupuncture and Chinese herbal medicine by the National Certification Commission for Acupuncture and Oriental Medicine (signified with DiplAc and DiplCH). Cathy has completed advanced herbal training with Dr. Tao Xie, and studied advanced needle technique with Dr. Cheng Xiao Ming. She became interested in studying acupuncture while living in South Korea, where acupuncture enjoys equal status with Western medicine. 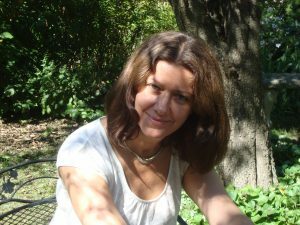 Cathy began her acupuncture practice in Cambridge in 2003, and founded the Great Way Wellness Center in 2005. Cathy completed a 200-hour yoga teacher training at South Boston Yoga in 2010. She offers private yoga instruction and teaches occasional workshops around town. 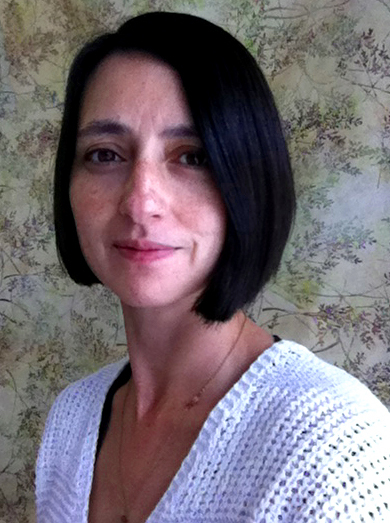 Jasmine Moran, MAc, LicAc, DiplAc, is a licensed, NCCAOM-board certified acupuncturist. She received her Masters in Acupuncture at the New England School of Acupuncture (NESA) with a specialization in Chinese and Japanese styles. Jasmine has studied orthopedic acupuncture with Steve Cina, as well as Kiiko Matsumoto’s style of acupuncture under Marcus Schulkind. She has worked with pediatric patients at Boston Medical Center and is also trained in shakuju, a Japanese noninsertive technique suitable for children and needle-sensitive patients. Jasmine’s interest in Chinese medicine stems from her extensive training in Chinese martial arts and qigong, with which the medicine shares much history and philosophy. After having personally experienced the power of acupuncture to heal sports injuries, improve sleep, and reduce asthma and pregnancy-related symptoms, she was inspired to dedicate herself to holistic health. Steffi Koerner, MAOM, PhD, is licensed to practice acupuncture and Chinese herbal medicine. She specializes in the treatment of migraines and tension headaches, musculoskeletal problems (including back pain, neck and shoulder pain, and carpal tunnel syndrome), allergies, digestive disorders, sleep problems, gynecological issues, TMJ, and psycho-emotional concerns. She also is experienced at helping people recover from trauma or surgery and alleviating the side effects of cancer treatment. Steffi also holds a doctorate in organic chemistry and worked in pharmaceutical research and the biotech industry for over fifteen years. She made numerous scientific and medical contributions at ArQule and later at the Center for Drug Discovery at Beth Israel Deaconess Medical Center. A life-changing experience introduced her to Chinese medicine, leading to a new career exclusively dedicated to her patients. Please fill out these forms and bring them to your first visit.